A classic game for the garden. 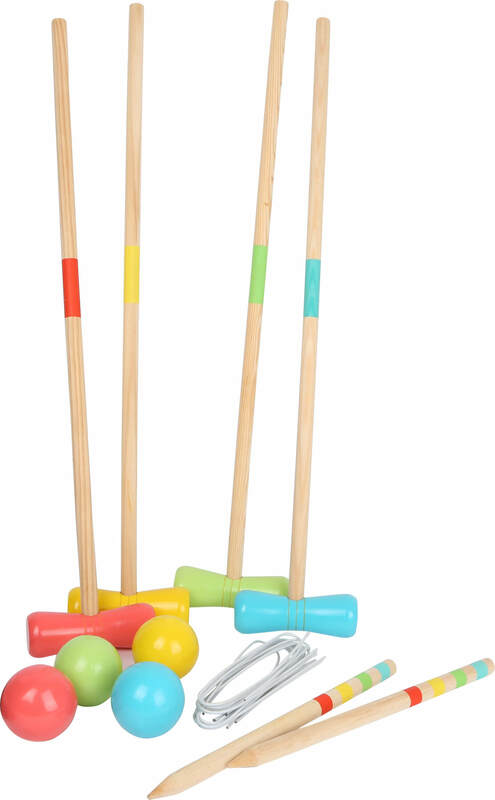 In croquet, dexterity and concentration are needed. 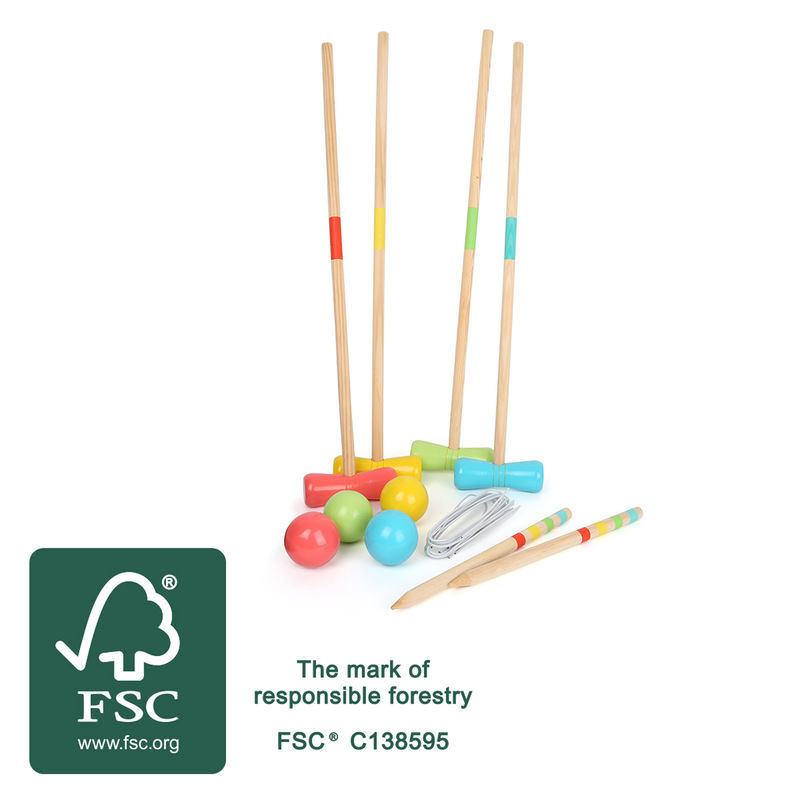 This outdoor game made of FSC® 100%-certified wood promotes playtime out in the fresh air, and is loads of fun for the whole family. Metal hoops act as goals, and are stuck in the grass with various distances between them so that varying levels of difficulty are created. With concentrated manoeuvers, the wooden balls are jockeyed through the hoop goals. 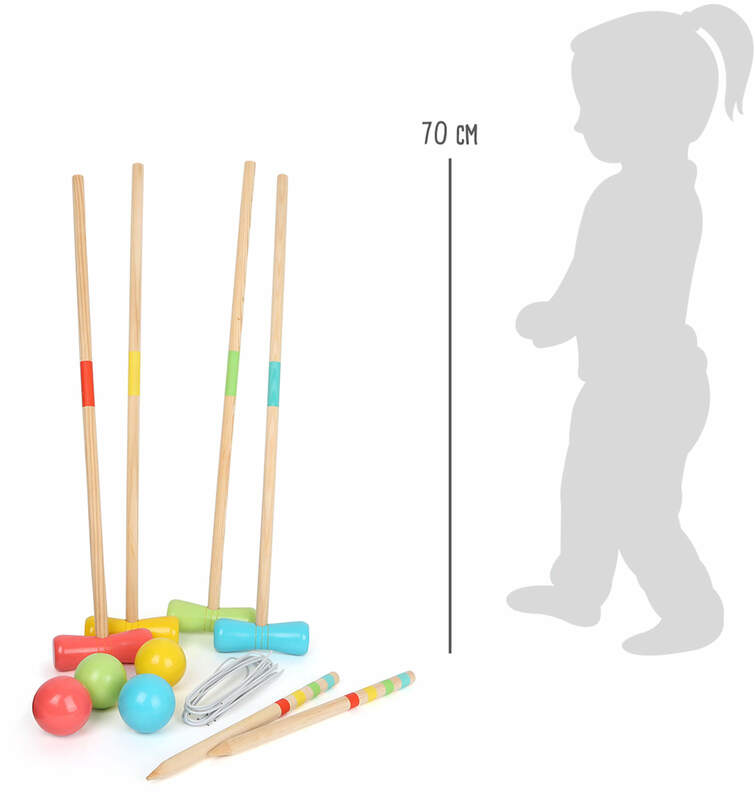 This croquet game impresses customers with its stability and diverse fun. Let the games begin!